Welcome to my first post in the A2Z challenge 2019. As promised, I am going to take you through an account of our eventful journey for our toddler’s school admissions. Trying to fix a timeline to such a roller-coaster ride is difficult but I have tried to restrict it from Sept 2018 until March 2019 to keep the emotions relevant and undiluted. After giving birth to my son Tuneer aka Jr. T in Sept 2015, our initial worries revolved around the challenges of breastfeeding to his vaccination schedules, his health and his reluctance to sleep the whole night. After turning a year old, our focus area shifted to his development charts, balanced nutrition, and preventing him from eating every inedible item around. Another year later, we had become a little wary of his capability of locking us out, embarrassing us in social circles by saying things that were not meant to be told to outside the house and his willingness to continue talking gibberish for hours. At this stage, we had started thinking of putting him in a preschool once he turned 2.5 yrs old. Considering distance, safety, and hygiene as the primary factors, we enrolled him in one of the finest Montessori houses, a decision that helped my soft and shy son become more social. Jotting down his own experiences related to admission, huh? Before we knew, almost everyone around us was talking about the school admissions and the long-lasting impact a school had on a child’s future. Now Sr. T and I have diametrically opposite parenting ideas and beliefs. Thankfully he is posted in a remote corner of Bengal, giving me ample opportunities to have a final say in matters related to raising the child. To narrow down our choices to six schools within a radius of 10kms from our residence was no less than a mammoth task, especially because none of us had done our schooling in Kolkata. At some point, I was quite sure that one more conflict between us was either leading to a divorce or a murder. But that is a story for another day. Amidst all the chaos, two major things happened in September 2018 – the boy turned three and the first school in our list published their admission notice. In our society, after a child is born, he/she belongs to not just his/her parents but to both the families. In short, everyone has some piece of advice related to the weight, skin color, behavior, and future of the child. Parenting is always under a scanner and judged irrespective of the effort and outcome. Add to it, the over curious neighbors and super intrusive well-wishers whose favorite job also seems a comparison between your child and some random kid. “Both of you are from a small town. You have no idea about how difficult admissions in Calcutta schools are. That is why I consider it to be my duty to guide you.” By an uncle, who happens to be from the same small town as us and had his children study there. He has barely stayed in Kolkata for 5 yrs and already calls himself a Calcutta man. “Isn’t your husband a doctor? Ask him to pay donation money and get your child admitted. Why do you need to go through so much ordeal when there is a way out?” by the mother of my son’s preschool classmate who had no qualms of following the same route. “Tuneer is very soft and sensitive. He is intelligent but what is the use of knowledge if he doesn’t open his mouth in front of the interviewers? My grandson is so smart that he was selected on the spot only. You should leave him in a daycare center for six months. Out of fear, he will start becoming more outgoing.” by a relative who refuses to stop comparing my son with her grandson despite the five year age difference between them. “For you, it will be difficult to get through *** school (the most preferred choice in our list). They only prefer working parents because they believe when both parents work, the child has his role models in the house itself. Last year, they haven’t selected any child whose mother was a homemaker. You shouldn’t have quit Banking. 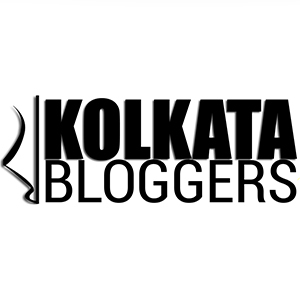 Writing and blogging are fancy things but that’s not like real work.” by a friend born and brought up in Calcutta and whose daughter studies in the same school. “Who studies in Calcutta these days? In fact who thinks of staying in such a dead city now? Leave the sentimental factors aside and think logically. You both have a future and your son definitely deserves better. Move back to Bangalore or consider shifting to Mumbai.” by a close friend of my husband from his medical school who had chosen to settle down in Australia for a bright future of his half Indian – half Indonesian kids. We laughed at some, we shuddered at a few suggestions and a couple managed to get me really angry. If there was something common between Sr. T and me in handling such pieces of advice, it was the choice to ignore them and block out obnoxious elements. Of course, we sought advice but only from people whose opinion mattered to us like my father and his parents, Tuneer’s class teachers and Principal and a few close friends from the city. Stay tuned as I come out with my next post tomorrow – B for ? Aah! The unsolicited advice that we get from people about parenting! Glad that you blocked out all the negativity and focused on what was important for you and Jr T. Tuneer is such a lovely name. Looking forward to reading your April blogs. Good post. Yes, some are insane only. Looking forward to your post. Its hard when everyone ‘thinks’ they are helping, but in reality they are not! You did the best thing – just ignore! We went through a similar phase and some of the incidents were hilarious. Looking forward to the rest of the posts. A really entertaining post reflecting the times we live in when everyone is eager to proffer unsolicited advice. I remember in this context that when we went to get our daughter admitted in the first grade after her kindergarten, the principal looked at her benignly and said, ‘So the little girl wants to go to first grade.’ On the way to the principal’s room for the interview, my daughter had happened to catch a glimpse of the Upper Kindergarten room where she had seen a lot of toys and other playthings. So when the principal asked her the question about wanting to go to the first grade, pat came the reply, ‘No, I want to stay in U.Kg.’ When the principal asked her why she wanted to remain in U.Kg my daughter told her that if she remained in U.Kg she would be able to continue playing with toys. We looked anxiously at the principal but the lady had a good sense of humour and burst out laughing and my daughter was duly admitted in the first grade and not in U.Kg much to her indignation. Thank you for sharing such a sweet incident from your life. Agreed! Advice, we think that this is the best thing to give others without spending a penny. Isn’t?Sometimes it is so painful for those people who are already suffering some serious issues and comparison, it shouldn’t be at any level. Sometimes these so-called well-wishers crossed all the limits and go the extent level which ends with criticism. Yes some are insane only. Thanks for reading. Looking forward to your post. Very realistic post. Every family goes through this type of advice. In general, mothers have the final say, because if child feels unwell, responsibility falls on her, primarily. Yes unsolicited advice can be irritating. Advice and especially the unsolicited ones are irritating. When it comes to our kids, it’s like other people know more than us. I believe a mom knows the best for her child and will always make a right decision. Interesting theme, Sonia. There is only one thing in the world people generously dole out for free, ADVICE! And they don’t stop even when you ask them to. Strap your seat belt and sit tight. The downpour of advice has just started, even though T is still to start school! Laughed my way through reading the ‘helpful’ advice! So true. I wish people learned not to cross the lines. I’m glad that you enjoyed reading this. Not a mommy, but I can well imagine how infuriating these unwanted and senseless advices can be. Oh you reminded me of my journey ! Nursery Admission in Delhi school! It had us on our toes for months. Looking forward to the next post ! Good choice for today. Advice. We all love to give it, don’t we? 😛 And not just about parenting. Btw, good to finally interact with your blog. It’s so good to see your comment Chicky. Don’t we all wish that people knew where to stop, specially when it comes to personal space. Thanks for reading. Ah, these super valuable advises, come in scores and half baked. How many times I have to brush them off my shoulders or act sometimes I am indebted. Funny you shared all here, lovely theme Sonia. Looking ahead for more to read. I’m so glad that you liked reading them. Sometimes I wish I could smack these people on the head and ask them to shut up. Thank you for reading. There are people who never understand where they should stop. I sincerely hope and pray that your husband gets well soon. Hi Sonia, It was a real fun post to read. “Blogging & writing are fancy things, but that’s not like the real work.” Lol! And I agree with the variety of opinions(&judgements too) that are shot at us as parents, Filtering, Paying heed to the selected few and trashing the rest is the way to go! Look forward to urs tomorrow’s. I applaud your patience, Sonia. Had I been in your place I’m sure I would’ve gotten into a verbal brawl with someone who scrutinizes my son, my background or my choice of work so shamelessly. Ignore is the best way to go though and you did the right thing. Absolutely! It is annoying but people feel that unless they give you advice, they are not doing their job right. But luckily, you and your husband know how to handle it right. Ha ha, so true Roma. We learned the hard way to retain our sanity. Thanks for reading. After reading your theme post, I was really looking forward to your posts, Sonia. I knew I would b able to relate and I was right. Ignorance is the key, do what you feel is right for your baby and what setting works best for you. Hahaha the free advices we Indians get and give. Anyway keep listening and use them to come up with a better decision and do what you feel is right. Because after that also there will be advices. Nice post. Very True. And it is Free too!!! Hey I got some unsolicited advice for parents who get unsolicited advice – ak kaan diye dhukiye ar ak kaan diye baar kore phalai bhalo 🙂 Tuneer is a beautiful name! Ekdum thik kotha. Selective hearing has saved our sanity. Thanks for reading. Great beginning Sonia and I could co-relate with the post, I had the same experience when we are struggling for admission for my little one. these parenting pieces of advice..uff..can not say more! looking forward to reading more in this series. Thank you. I really wish people knew when to stop. We have learned the art of selective hearing now. Thanks for reading. Heading onto your post now. A must read post for each and everyone. Loved readong it. Looking forward for more posts. Not a mother yet, but this gave me shudders! Unsolicited advice on having a child or not is getting difficult to handle. Looks like it does not stop there and goes on till forever! Good writing there Sonia! Looking forward to read more from you. All the best with the challenge! Uff! I can understand it. I have not crossed that phase yet but I have felt the same in other situations. Sometimes people just think that they can give free advice to anyone! There is plenty of unsolicited advice going around.. You did the right thing by choosing to listen to people who matter to you! Well, I am way past the stage of school admissions but I am surely going to catch up with your experience here! Thank you for reading. Glad you liked it. I left a comment on your post. But I can’t seem to find it on the post. Have you received my comment? You are so far away – already have the post for B up! So interesting to hear what goes on in other countries with these common events like children going into school. Good that you have a sense of humor. Enjoy the A to Z! I couldn’t help but have a hearty laugh over these concerns raised by your near ones 🙂 🙂 But I know that a kids school and his upbringing is totally parents’ prerogative and it should remain so. You have done good as parents and the results are showing so. I liked your sons name. Yes anyone walking on the road has an opinion thatvthey have to give no matter if its relevant or otherwise. I can understand how that feels when someone out of the blue starts giving you advice which is never been asked. Following your posts. 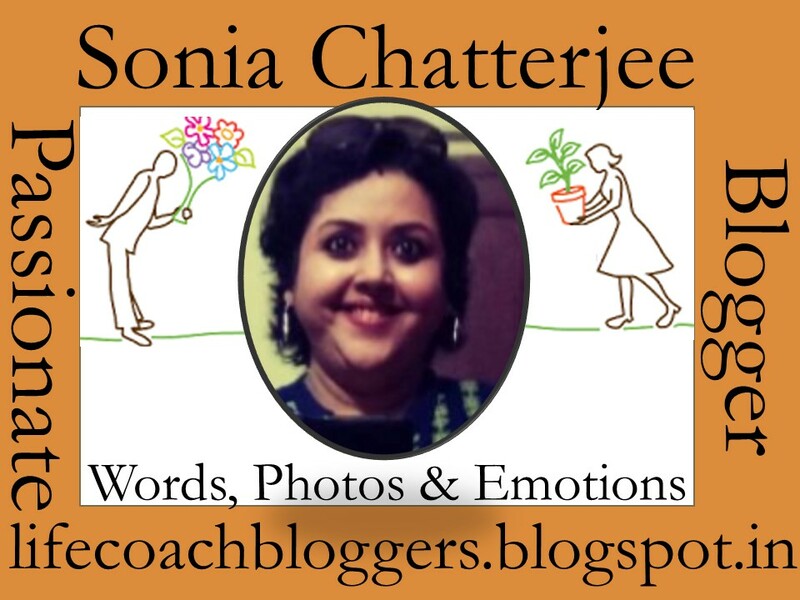 Hi Sonia, I started reading #BlogchatterA2Z posts late due to some family commitments. With your post, I got to remember last year’s scene in my house when I enrolled my son to a rather unknown school. After visiting many other 5 star schools I realized, those are not schools but a factory of producing multi-skilled kids. There are less free plays and more activities. I finally zeroed school which is 5 mins distance from my house and is an ordinary one. They focus on kids, not on imposing talent. Dodging unconsolidated advice is a new art learned by most parents after burping. Seriously, few come out hilarious. We also started worrying about her admission.